Laska lived for years in unacceptable conditions in the run-down Pokrovsk Zoo near the town of Donetsk. Previously she was kept as a baiting bear and abused to train hunting dogs. In her new home, she can now rest in a species-appropriate environment. A court decision will decide whether Laska can stay permanently at BEAR SANCTUARY Domazhyr, as the confiscation is only temporary for now. 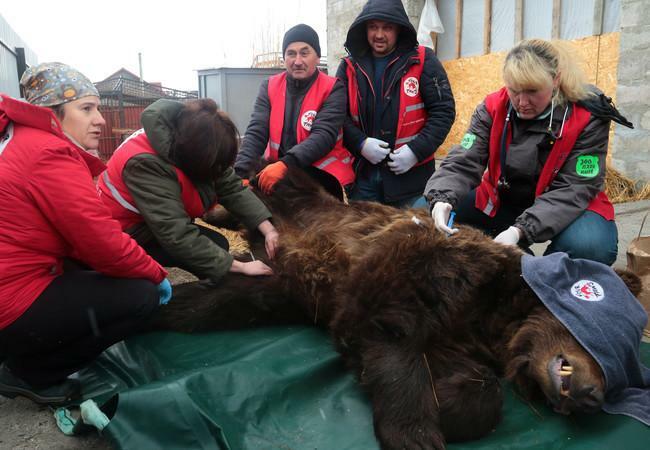 FOUR PAWS wanted to bring the approximately five-year-old bear to her new home by the end of 2018, however, the decision-making process by the authorities regarding her confiscation delayed the rescue until early 2019. 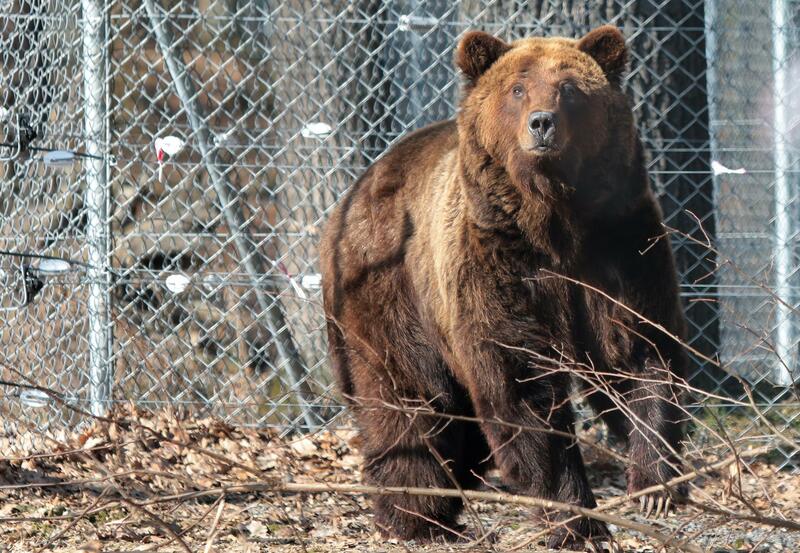 Currently, it is not clear whether Laska will stay at BEAR SANCTUARY Domazhyr - an official court decision is still pending. 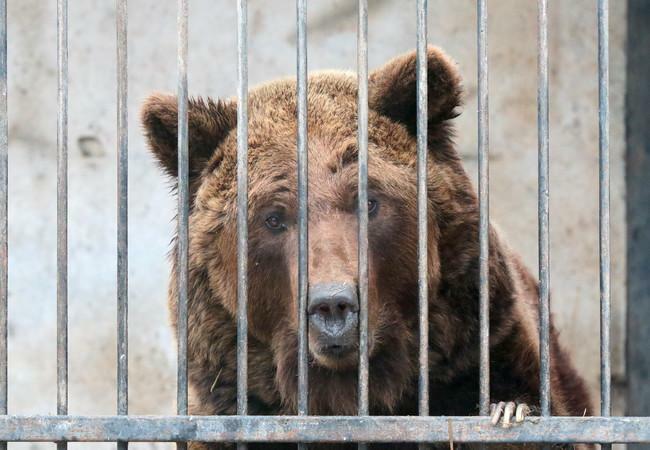 Since Laska's owner, who also owns the zoo in Pokrovsk, is currently in prison for other offences, it is unlikely that the court will rule in his favour. “The legal situation regarding the private keeping of wild animals in Ukraine is absolutely unacceptable. But we are optimistic and assume that Laska will be allowed to stay in the sanctuary. She has experienced nothing but suffering in the care of her owner,” Hertwig says. FOUR PAWS has previously taken bears on a temporary basis, that were ultimately permitted to remain permanently in their sanctuaries. 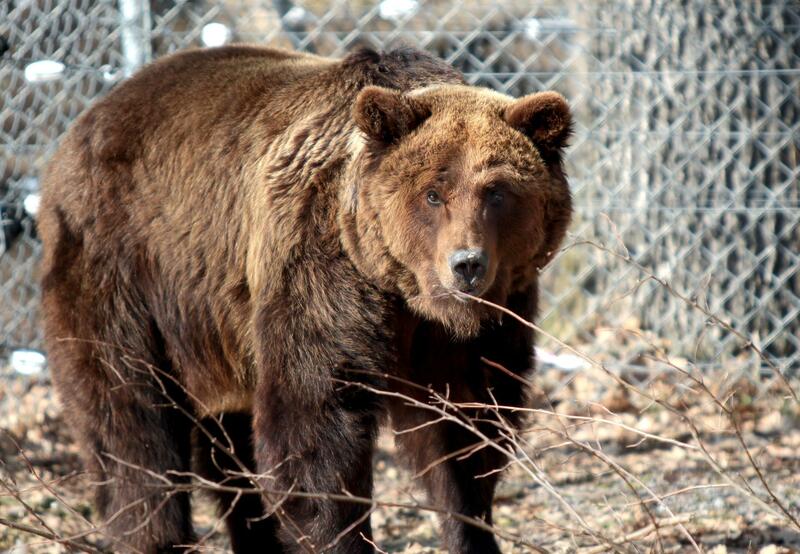 FOUR PAWS has constructed a bear sanctuary near the Ukrainian city of Lviv. BEAR SANCTUARY Domazhyr currently covers 7.7 hectares and provides a species-appropriate home to bears rescued from deplorable keeping conditions. Over the next few years, the sanctuary will be extended to cover twenty hectares, with space to accommodate thirty long-suffering bears. By constructing BEAR SANCTUARY Domazhyr, FOUR PAWS has created a sustainable home for rescued bears, and is thus assisting the Ukrainian government in its efforts to implement the ban on keeping bears for bear-baiting.